Who The Hell Is Cardi B? Cardi B sounds like a nerve gas to me. But it’s not; it’s a she. And she’s ubiquitous these days. Pitchfork says she isn’t a talent-free celeb. 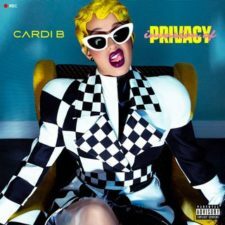 Au contraire: ‘Cardi B’s remarkable debut, “Invasion of Privacy,” places her, without a doubt, in the pantheon of great rappers. It is both brazen and vulnerable, filled with wild amounts of personality, style, and craft.